Newt Hamlin is Chairman of the Board for Texas Multicore Technologies. In the past 35 years Newt has founded, or served as CEO or a director of companies in the software, hardware, marketing consulting, financial services, medical research, third party logistics and food products industries. He is an active angel investor, has been involved in raising more than $140 million in growth capital, and has led M&A activities for 17 companies. His value proposition includes strong leadership and management, a clear understanding of sales and marketing, recruiting access to accomplished executives in every corporate function, access to capital resources, and a network of global and local leaders and advisors from every industry. In addition to working with TMT, Newt is currently launching other startup companies based on unique university-developed engineering IP, and is engaged in providing management, governance, fund raising and M&A services to private and public companies. On top of his entrepreneurial accomplishments, Newt in 2003 co-founded Westlake Securities, one of the region's leading boutique investment banks. Newt began his corporate career with Aluminum Company of America, working his way up to a senior management position at the company's Cleveland (OH) Works, its primary aerospace manufacturing facility. After a stint with Whirlpool Corporation he began a successful career as an entrepreneur, founding his first company in 1971. Newt pursued graduate study in communications and business at Northwestern and The University of Texas at Austin. Prior to his graduate studies Newt received a BA degree from Mississippi State University, where he was an honor student and active in many academic and leadership organizations. He has been a lifelong supporter of higher education initiatives, and an advisor and board member at many universities. 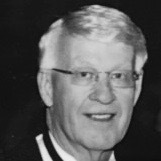 He also has been an active supporter of community, healthcare, charitable and arts initiatives for three decades.